I needed a 13 ft. iron fence with a fancy gate for a formal garden. Jeff made a very good suggestions on design. Very professional installation and did more work than contracted for making it very attractive. fair price and very satisfied with installation. 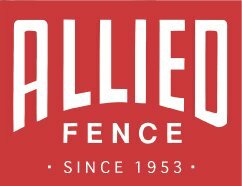 Allied Fence came out to do a survey and give me a price. I called and took care of everything over email. Everything was completed while I was at work. I came home to a great looking fence!! Larry came out to do the estimate, had a very good experience. He recommended something very appropriate, had good design ideas, and was an all-around nice guy. I needed to clear some brush for the installation, but my landscapers flaked. Larry not only made a recommendation, but took responsibility for the new landscaper and took care of the coordination. The work was excellent, the installers were very experienced. Two days… they had the whole thing up. It looks great, and it was a hassle free, great experience. We had a lattice fence around our pool, which was 10-20 years old. My husband and I had tried to replace most of the panels around 8 years back, but it was a task ongoing over the past 8 years that was never quite finished. The gates finally gave out and the fence was an eyesore. 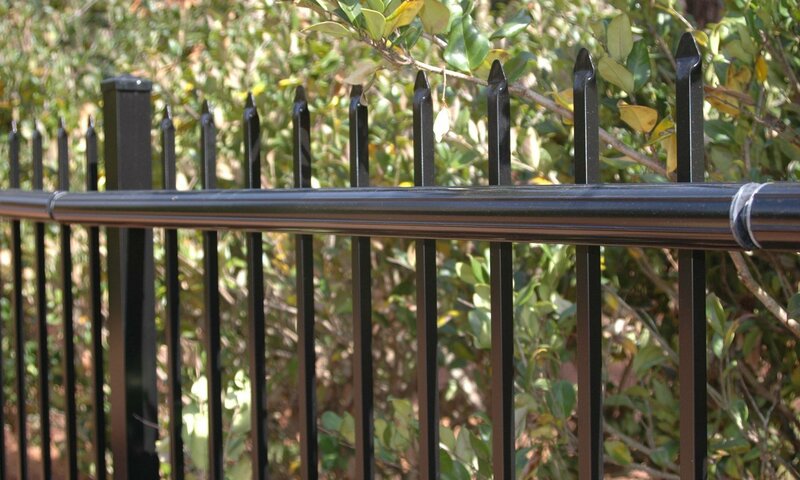 We got multiple estimates, and ultimately, even though the price was considerably higher, went with Allied because Jeff had given us what we considered to be a fair proposal for the exact fence we wanted. Jeff was an extremely good listener when I told him I didn’t want a fence that was “ugly on one side.” He drew me a sketch and provided options. The installation ended up being scheduled about 3-4 weeks out— and was in line with the expectations that Jeff had set. The installation took about 3 days. The new fence looks incredible! 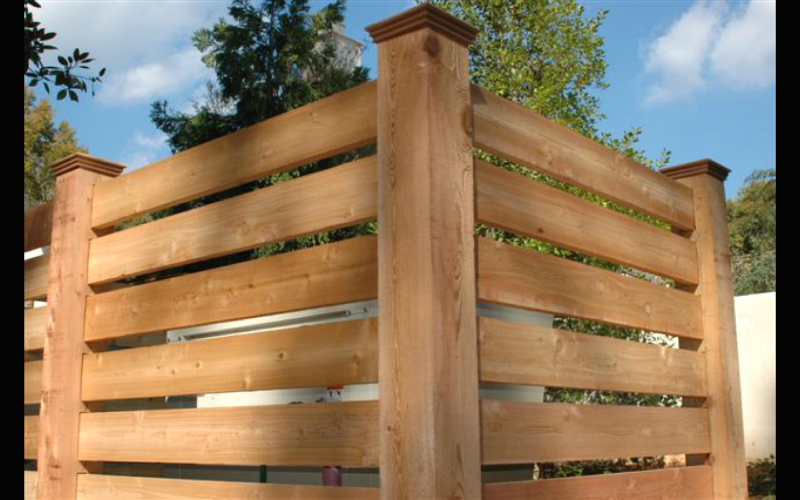 I contacted Allied Fence for a backyard fence estimate. Larry, the project manager, got right back to me and set an appointment the following week. He staked out the area I wanted fenced in and gave me an estimate. He explained the aluminum products that they would use. I found them to be extremely professional. I’m extremely happy with the end results. They are a great company to do business with. I was really pleased with the follow up to my web request for more information. 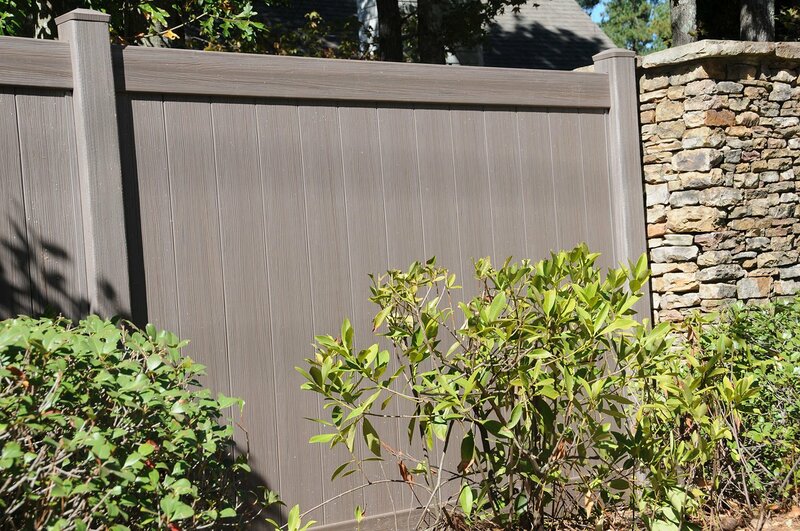 On-site for estimate, I was able to clearly understand my options and received great suggestions on replacing my existing fence and driveway gate. I had my new fence in place a week after I got my estimate! …It was a painless experience from start to finish. 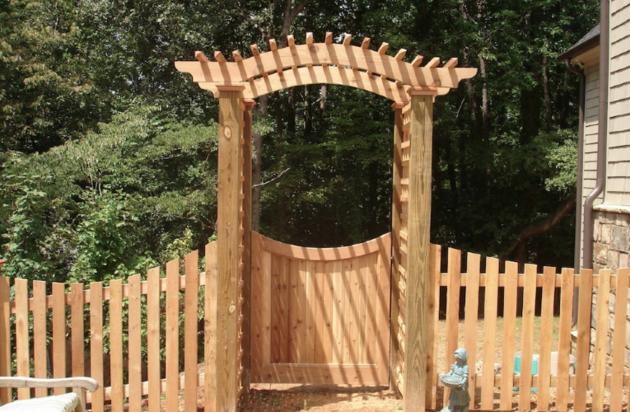 The new steel backed gate is a much lighter option, and yet still looks like a wood gate from the front. Very pleased and would recommend Allied to others.